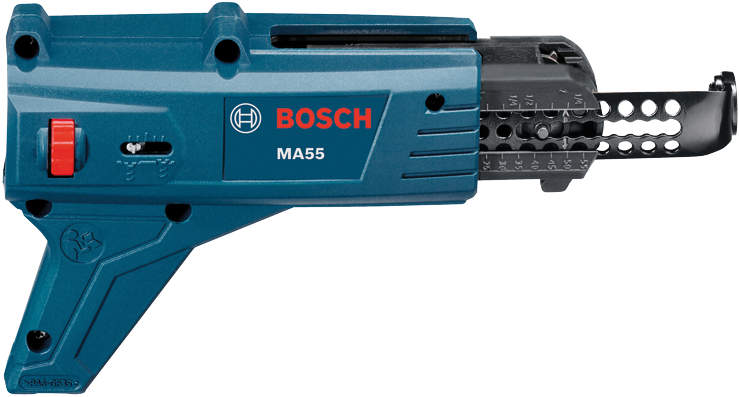 The MA55 Screwgun auto-feed attachment for Bosch SGH182, SG450 and SG250 drywall screwdrivers delivers added efficiency. 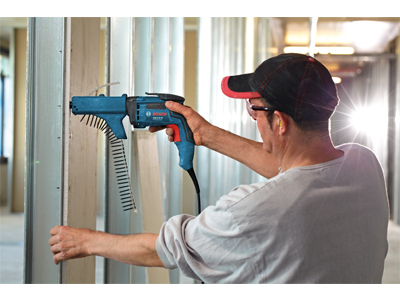 It enables precise driving of rows of screws at top speed, while allowing comfortable continuous work, due to its ergonomic design and light weight. Its open design prevents dust from getting trapped in the mechanism and allows for a long product life. 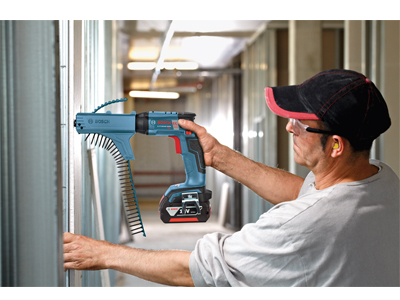 The MA55 can be used with widely-distributed strips of screws that have lengths of between 1 In. and 2-1/8 In. (25 mm and 55 mm), screw shank diameters up to 0.2 In. (5 mm), and screw head diameters up to 3/8 In. (9.5 mm).